Time for something out of the ordinary. 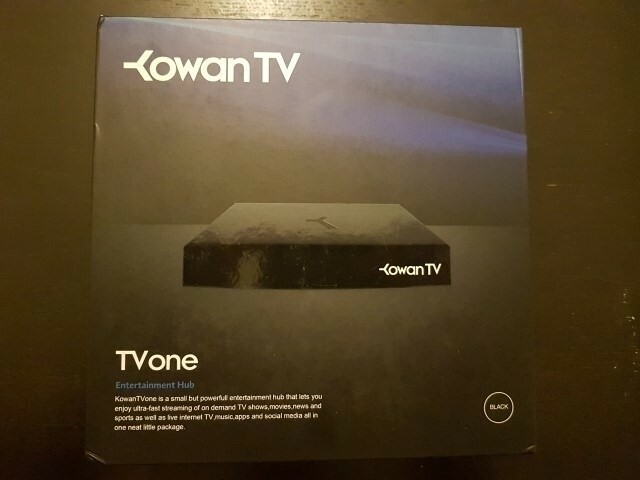 KOWAN TV is a media player with dedicated orientation to Live TV and On Demand content. Also for the first time we see custom Linux GUI which is extremely fast and elegant. 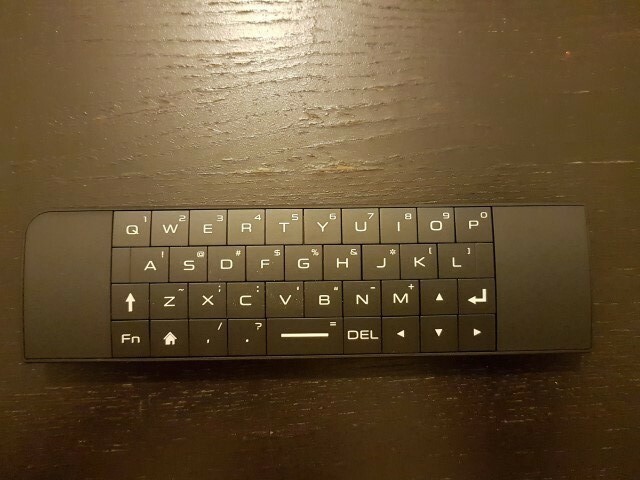 The Kowan TV comes in the best packaging we have seen so far. When the user opens the box, comes face to face with the most well organized and stylish package. Even the micro USB and HDMI cables are on their own premium-like pouches. It reminds packaging of hi end motherboards for computers. Good job Kowan! The specifications are on the higher mid range of media players. Amlogic S812 is powerful enough and is accompanied with a Mali-450 GPU. 2GB of RAM is great and the “only” 8GB of ROM have actually no negative impact since Kowan TV is closed sourced and the free space available will be more than enough for everything you will ever need. As expected, no Play Store (or any other store) exists for installation of any application or game. Wi-Fi is draft N and wired LAN is Mbit which could do better with a gigabit one since we are dealing with a dedicated streamer. No BT is available, but is not required for any of Kowan’s functions. 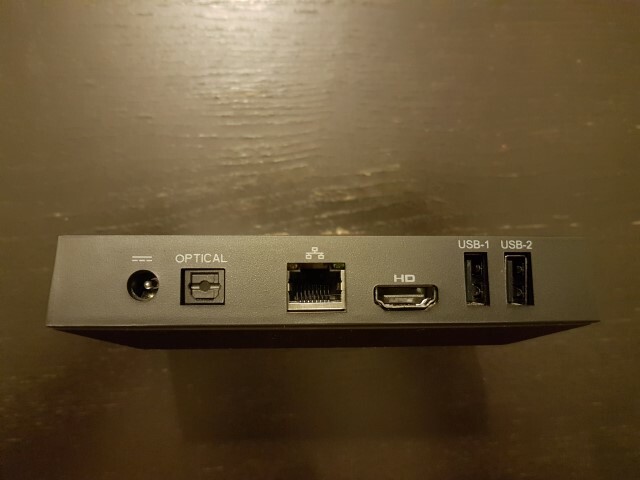 I/Os are typical with 2 x USB 2.0 ports, Optical out and of course HDMI 1.4 port. 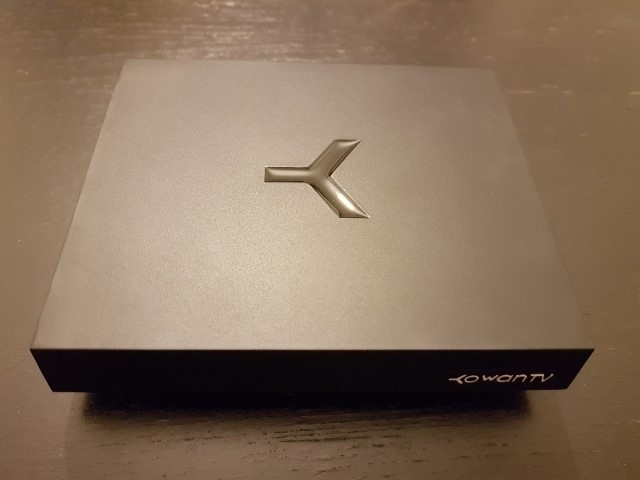 Although Kowan TV is made of plastic, it is superbly designed with clean lines and all I/Os are located at the back for better cable management. During use, a very distinctive led is lit. Let’s check the multi-controller. It is without a doubt the best one we have seen in a media player box. Excellent design and construction, with maximum productivity since the back side hosts a full keyboard quite comfortable in use. The feeling in the hand is excellent which is also the case for the buttons as well. It is also back-lit and it does not require batteries because it is charged via a micro USB port. After a short boot, we are faced with a GUI quite similar with the one in Playstation. 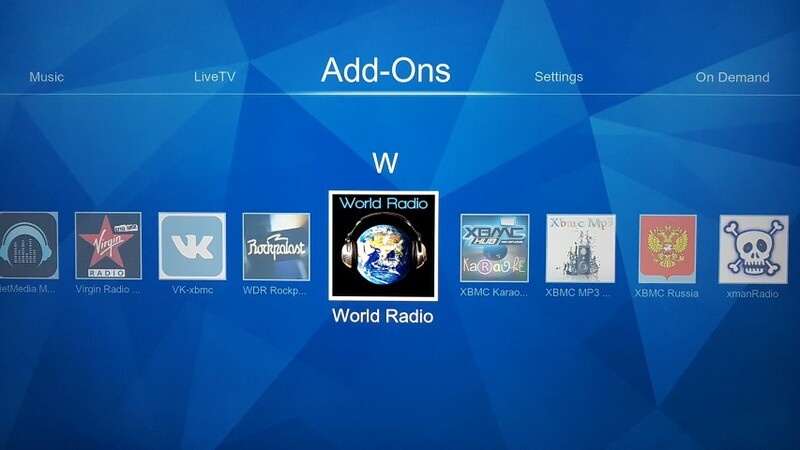 Few tabs (Settings, On Demand, Music, Live TV and Add-Ons) are at the top and the user cycles through them with left-right button on the remote. Each tab has its relevant selections below. We must emphasize that the overall menu navigation is extremely fast without lags. 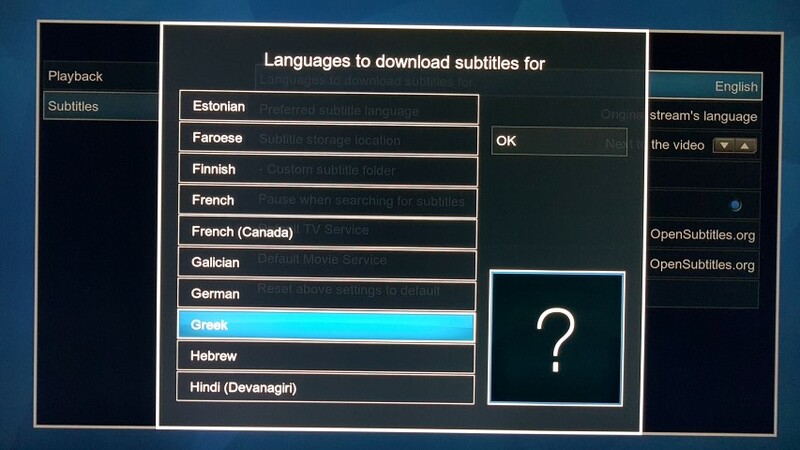 In the settings menu, the user can select resolution, audio output and select options for download of subtitles and monitoring of system and network usage among others. 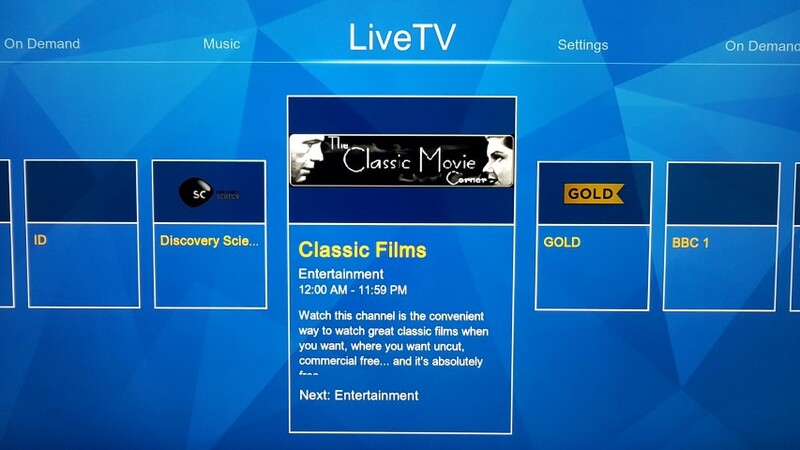 Both in the On Demand Live TV selections, the user will be find numerous channels and movie options. 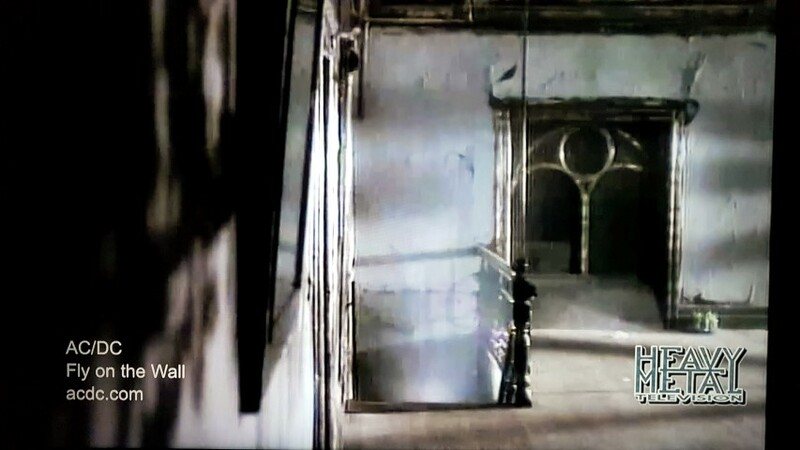 In Live TV, the majority of channels are streamed over Filmon and the image quality is quite good, most often sd, but with good bit rate that appears satisfactorily at 40-46 inch TVs. Of course there is no problem viewing at bigger screens, but the need for more analysis will become more obvious. 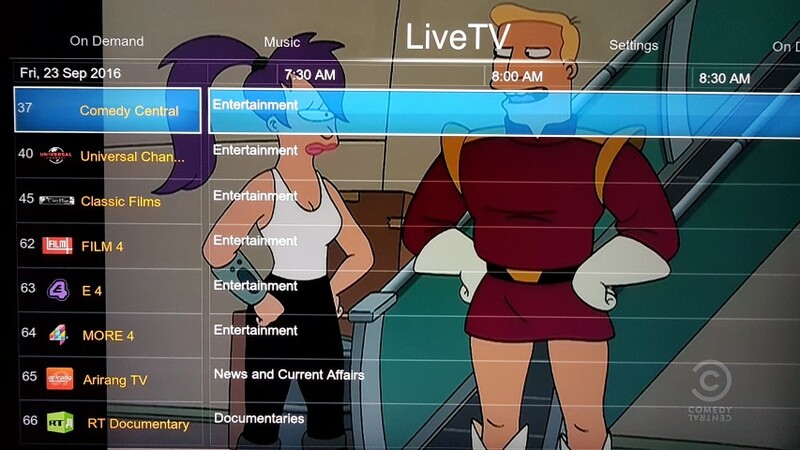 While viewing, you can browse the main menu or the EPG without interrupting playback. 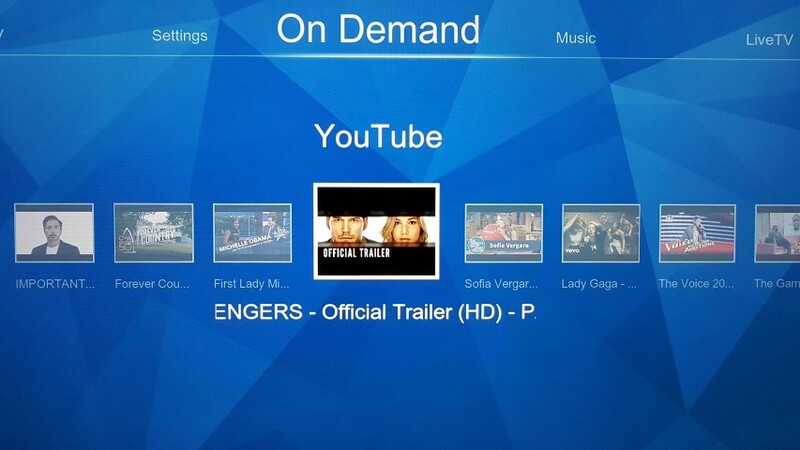 In Both On Demand and Live TV selections, you can install more channels / services in a repository form. As expected in cases with practically unlimited options there will be cases were the links will be broken. No fuss though, there are plenty of others to choose from. 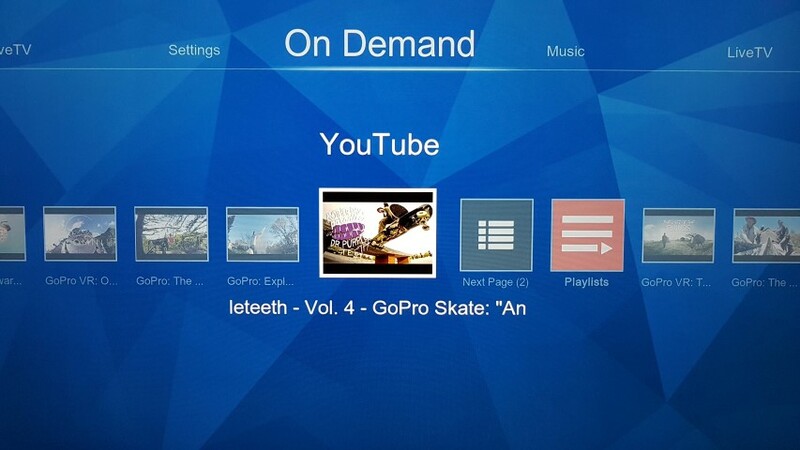 Popular services like YouTube playback well, even in HD. 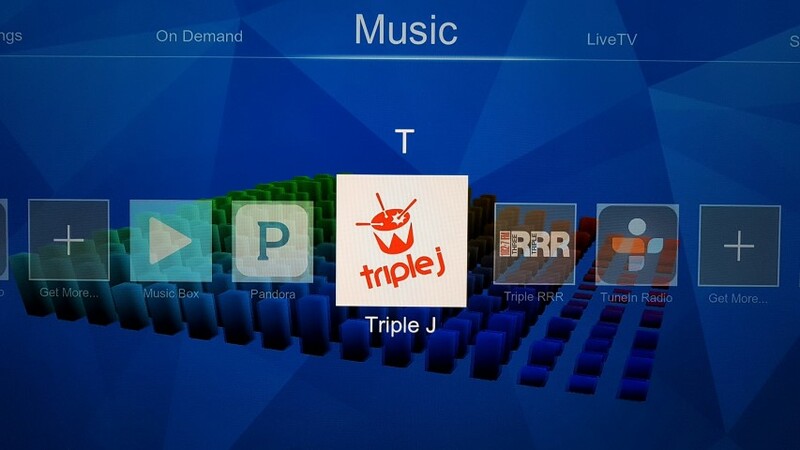 Regarding streaming of Music, numerous music radio stations are available which can be extended in a similar way (repositories like). There is a file manager in which the user can navigate to the data of an attached USB stick/HDD, but we faced movie playback issues, in the audio sector. Having tried all the possible settings, we only managed to get 2.0 LPCM sound. Movies with DD / DTS played with no sound. Not even conversion to 2.0 PCM was possible. The hardware is capable for sure. It could be resolved with a software update. We tried to upgrade via OTA, but no update was available. Music files however had normal playback. 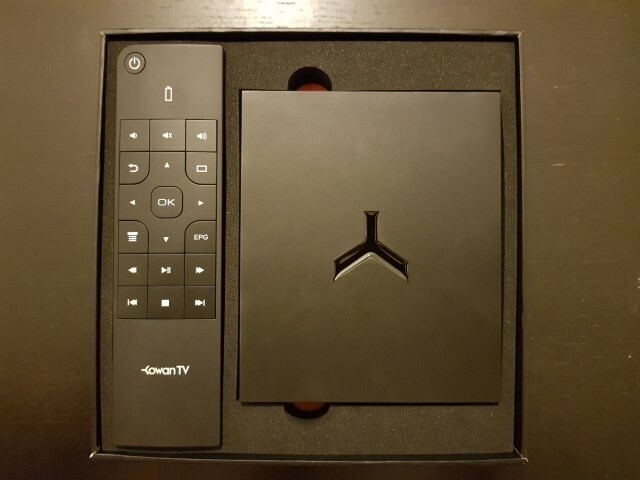 The Kowan TV is a unique box. 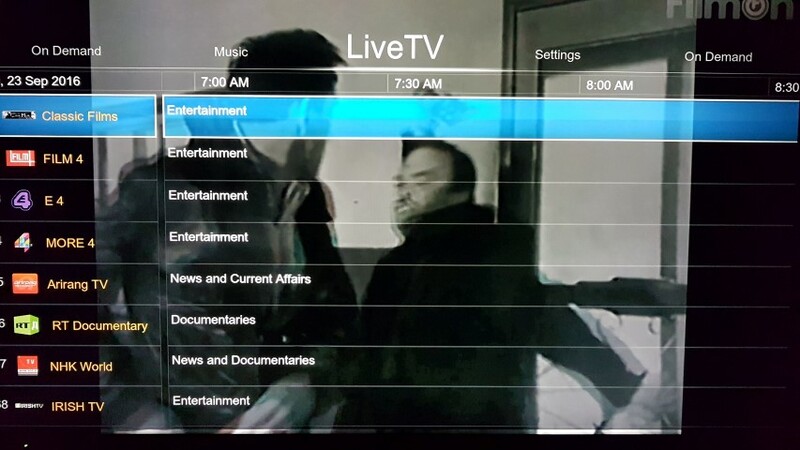 Aimed to the fans of (almost unlimited) Live TV and On Demand content in a absolutely elegant product both in terms of appearance and also in GUI/ usability. Almost premium.